It’s 2013. My 2006 web design is calling (probably from a land line). This time I’m not answering. Incredible thought: last time we redesigned Clickfire there was no such thing as a smartphone. I miss Blogging. I got distracted in years past. Distracted by the search industry. Distracted by affiliate marketing. By PC gaming. Elections. Wars. I got distracted and forgot about the original reason I ever sat down in front of a computer when no one else had one: I love to write! Whenever I have a good idea for a blog post or link bait and don’t have time to write, I throw it into my blog idea file. It is now 10,000+ words. I’ve got some things to say. I’m getting my voice back. And one good post a year is better than one okay post per day. I love rooting for the underdogs of life. I just don’t like it when I am the underdog. Clickfire had pretty much been immune to any filters or penalties from search engines because of the practice of sticking to search engine quality guidelines aka “white hat SEO” tactics. Until April of 2011. Panda arrived as Google’s heavy-handed approach to filtering out unwanted sites from their index. This update which they have now incorporated into their continuous algorithm seems to favor commercial brands over small publishers. It has forced me to think about content, design and marketing differently. Two years is a short time in Clickfire years. Panda is still only a cub. It is too early to tell what will happen but I’m done waiting. Got to surge forward. I started thinking about a way to expand beyond the limitations of site building, blogging and social media topics and came up with the idea of being a resource for the “Digitally Outspoken,” which would encompass a wider audience engaged in communicating their message through any digital medium. I’d really love it if you would subscribe, even if just for a while. I crave your feedback as we continue the journey. Drop it anytime. I won’t be offended. So subscribe now! We live for sharing the best stuff we can find from visitors and friends on Twitter and Facebook. We’ve started featuring “Clickfire Classics” on weekends: entertaining posts, newsletter content and other stuff from the youthful days of the Internet. We follow our subscribers and spread awesome content together. Guest Bloggers are now known as “writers” around here. I have updated the Write for Us page based on years of working with writers and content producers. We’re going big on content. We only want the good stuff. Rest assured that any author appearing on Clickfire knows pain. 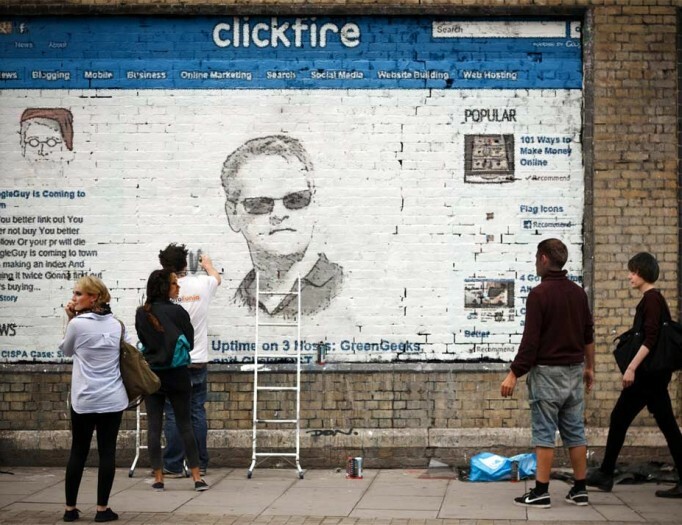 Terrible segue, but if you’re interested in a serious part-time gig creating content that people love to share for Clickfire and other Leverable sites, contact me as soon as possible (emory at clickfire dot com). Now, about that redesign. The idea was to retain some of the older elements (remember Web 2.0?) but liven up the place with more visual appeal. I love news and would like to expand into this arena in the future. Fast news sites with lots of imagery excite me. So, I wanted a sort of CNN meets Mashable custom WordPress theme design. 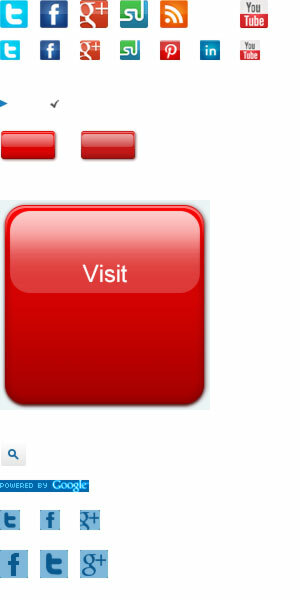 Simplified Logo – staring at the logo is not the action I want visitors to take. Blue – it signifies trust that we’ve hopefully earned over our long history. Visual Appeal – once upon a time all blog posts were just text. Now it’s thumbnails and big beautiful images. Authorship – I love rewarding great writers on Clickfire and with Google+ authorship. Responsive Design – it’s like spandex for the web. Fits any device’s body. Sprites – Graphic faeries that magically decrease page load time. Structured Markup – I am hoping this helps search engines understand and present data in search results that will make people want to click through and visit. Review stars started showing up immediately after the new code went live. Custom Review Page Types – reviewers can now enter in ratings, reviewer name, host address, phone and other data into individual web hosting reviews and it pops out beautifully within the review page along with special review widgets. Thanks to my incredible wife for her creative input and for helping get us through the migration. Dizzain.com gets major props for taking our rough ideas and creating the design, then custom coding it in WordPress, then putting up with all my nitpicking changes. Their work includes all the design features I just mentioned and a whole lot more. Dizzain has done some awesome work with some of our other sites as well. I recommend them. Check out what they can do with responsive WordPress themes. We have a new web host! Thanks to Carel Bekker of ClickHOST for providing excellent web hosting and migrating everything over for us. ClickHOST is also helping solve some nagging speed problems and assisting in getting a handle on attack bots. Check out our review of ClickHOST here. Friends who follow and share our content – you’re the greatest. 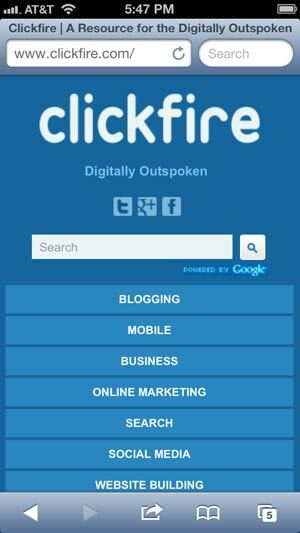 I can hardly wait to hear your comments on the 2013 Clickfire! It’s a beautiful, graphically optimized, fully validating sunny fall day outside. Why am I ablogging? The new Clickfire site design is finished! The Logo – Even though the previous logo went through some serious obsessive compulsive iterations, I am convinced that the new one is fresher, more cheerful and colorful. I admit an attachment to the heavy handed mouse and fire components, but I believe the less overt new one is going to better serve. Code Improvements – No more table containers. To my surprise, I was able to drop the content into the CSS divs in my favorite WYSIWYG editor (the name begins with a “F,” not a “D,” by the way. I have cleaned up most of the old pages, some dating back years ago to when I first started learning CSS. The new pages are in XHTML and tend to have a better chance at validating. A few hybrid pages are still floating around. Colors – It’s goodbye green, beige and black and hello red, green blue on white. I got complaints about the previous colors being to loud and this finally sank in. I struggled with going to a white background because white just plain hurts my eyes as do fluorescent lights and flash grenades. Toning down the contrast and brightness in my LCD monitor pretty much gets rid of the pain. I hope the new color scheme will improve the user experience. From what I’ve read, dark text on white backgrounds seems to be the preferred user interface scheme. Credits – Thanks to Sergios Singeridis (site?) for taking our rough ideas and turning them into a reality. He’s a rock star web designer and very pleasant to work with. Terima kasih to my wife for helping get the content and graphics integrated. I am so completely in love with WordPress. Most of all, thanks to God for giving me the patience to undertake this! Overall, I think the new design is cleaner, faster and easier to navigate. There is no turning back, especially considering the time invested in plopping all the old content into the new static XHTML pages. 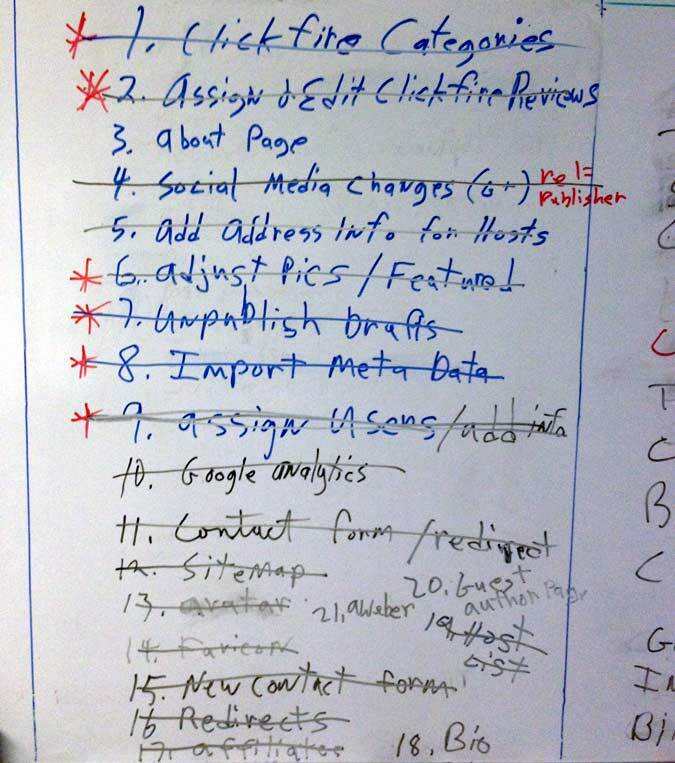 Now, I can finally do what I really intended on doing with the site, publishing viewpoints, tools and content. My question to you: What do you think of the new design? Okay, time to head out for some sun. All I can say is…Wow! It’s a complete rebirth. You should be proud of the redesign. I like the patriotic colors. Makes me want to frag for my country…. Not real artistic so I can’t really comment on the colors, but they look good to me from a statistical analyst’s perspective. Emory, Stan & I love the new branding!! We are so impressed. Stan said coolness is in the genes. I really like the new design. Clean, fresh and airy. The featured image on this post is very cool!